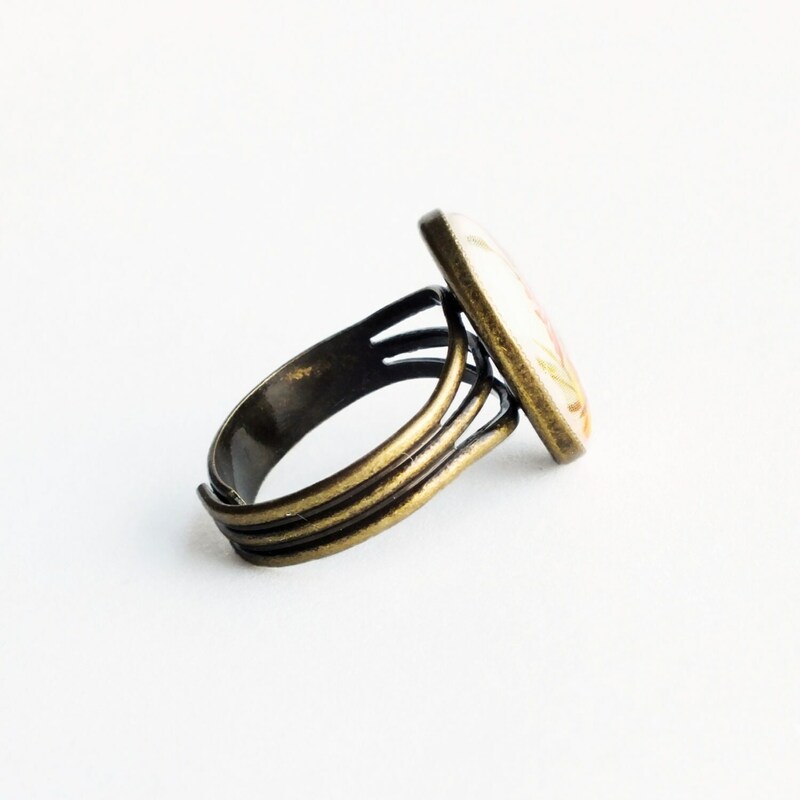 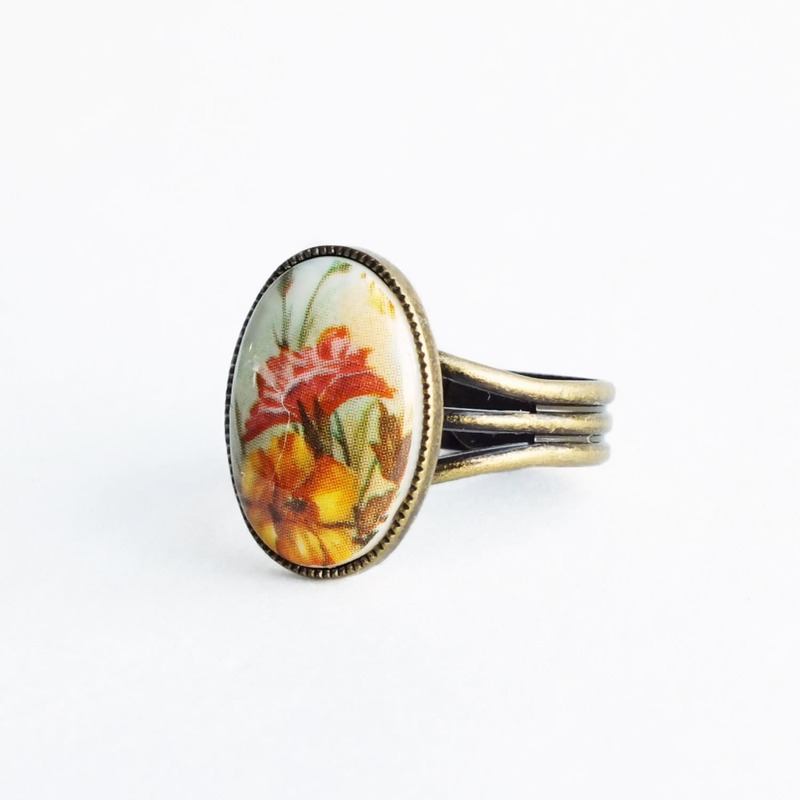 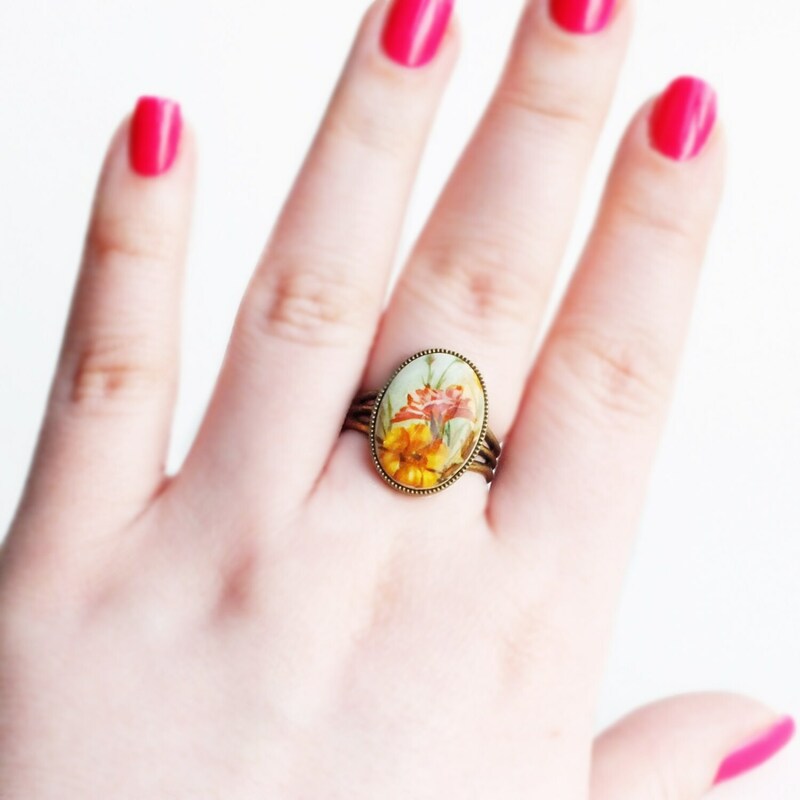 Handmade flower cameo ring with vintage Victorian glass floral cameo. 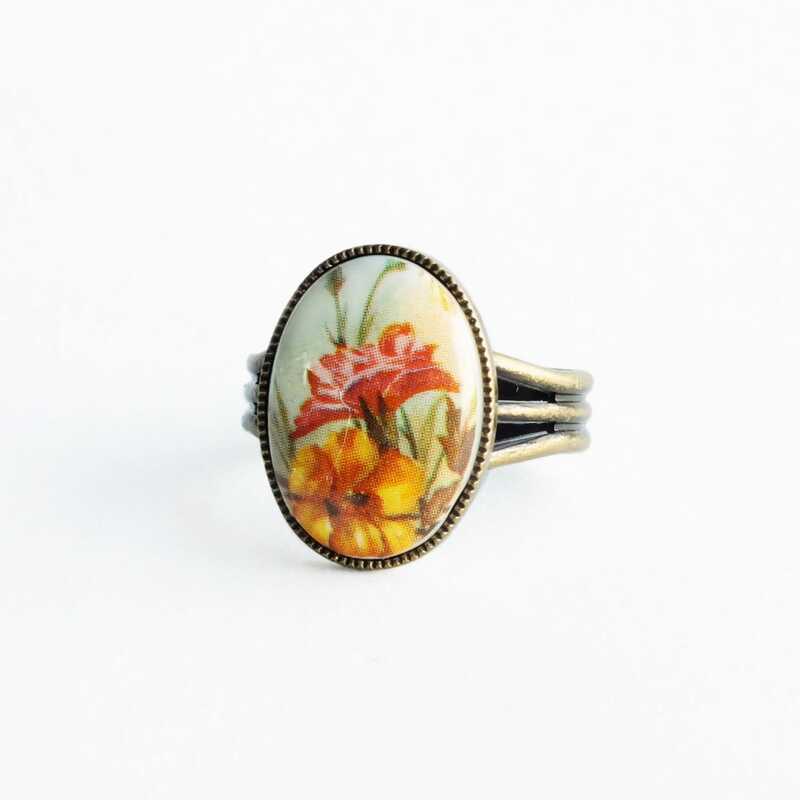 Made with a lovely genuine vintage glass limoge of garden carnations or 'pinks'. 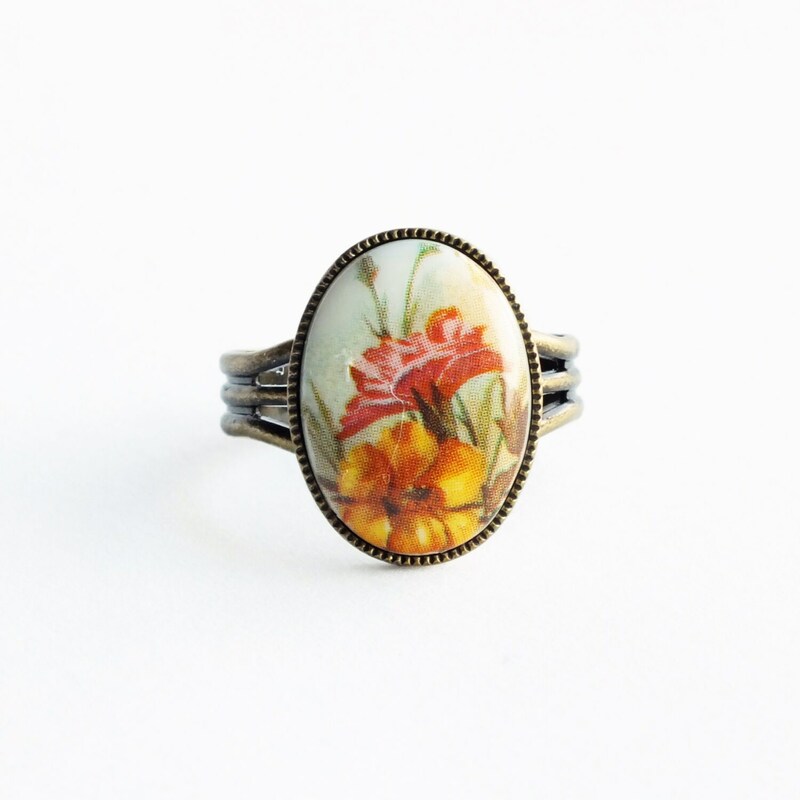 The palette includes warm yellow, coral pink and aqua.